Afternoon tea has been a British tradition for over 150 years, typically taken as a decadent treat on special occasions. With this experience, you and your guest have the opportunity to indulge in a sumptuous selection of sweet and savoury treats with tea and bubbly in some of the most lavish hotels and tea rooms in the country. Whether you are celebrating or simply relaxing, this is the perfect way to spend an afternoon. This very stylish afternoon tea will usually consist of finger sandwiches including, scones served with a selection of sweets. You will also have the choice of a selection of speciality teas and in some of the locations you will also receive a glass of champagne each. In the world of fragrance, a made to measure perfume is the ultimate luxury. At our Gold Perfume Design Experience, you’ll first learn some key facts about perfumery and the role of scent in our lives, before being taken on a fragrance journey through our unique 21 blends. Sip some bubbly while choosing your favourite ingredients to create a perfume that’s completely unique to you. Once you’ve named it, your perfume will be hand blended by one of our perfume stylists. The individual perfume formula will be kept in our fragrance library so you can easily re-order your customised fragrance. You will also enjoy a delicious 3 tier afternoon tea including a tempting selection of sandwiches and cakes with tea or coffee. This experience is available on selected Wednesdays and Saturdays, throughout the year. This experience is for two people, there will be up to 32 other people on the day. There is no minimum age but, under 16s must be accompanied by a paying adult. London Party Boats Ltd. is a family owned/run business with over 30 years of experience and river knowledge. We will endeavor to make sure that you have an enjoyable and memorable time whilst on board. 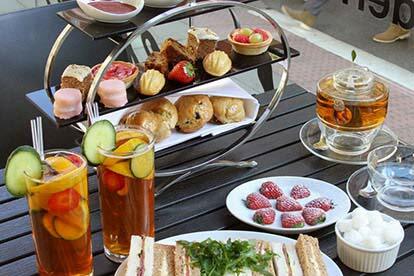 Enjoy an afternoon cream tea cruise on board MV Jewel of London and take in the magnificent sights of London. When you board MV Jewel of London, you will be greeted with a glass of Prosecco each. You can then sit back and enjoy your cruise while the catering team serve you both a fresh homemade scone with clotted cream and strawberry jam, a selection of fresh cakes and sandwiches, along with a fresh cup of English tea while soft jazz music plays in the background. The vessel departs Festival Pier and heads up to the Houses of Parliament before turning around and heading through the heart of London, you will be guided through your tour by the Captain who will point out all the sights of London as you cruise by. *London Aquarium *London Eye *Royal Festival Hall *Waterloo Bridge *St Pauls Cathedral *Tate Modern *Southwark Cathedral *HMS Belfast *Tower of London *Tower Bridge. You will then cruise down river to Canary Wharf before turning around and cruising back to Festival Pier. There is also a fully licensed bar on board selling a wide range of drinks at normal pub prices, so if you fancy something a little stronger this can be served directly to your table. This experience is available on selected Saturdays, subject to availability, from May to November. This experience is for two people. Please note that this is a shared cruise and there will be other passengers onboard. Treat yourself and a loved one to a day out in the capital, combining a trip to The Household Cavalry Museum with a champagne afternoon tea. The Household Cavalry Museum celebrates the history and accomplishments of The Household Cavalry, offering a unique 'behind the scenes' look at the work that goes into the ceremonial and armoured reconnaissance role of HM The Queen's Mounted Bodyguard. You’ll see dazzling displays of uniforms, as well as the chance to see troopers in the stables preparing their horses. You can even try on real helmets and cuirasses! The experience is enhanced by audio visual presentations and interactive displays throughout the museum. Upon arrival you will present your voucher to gain entrance into the museum which you are able to explore at your leisure. 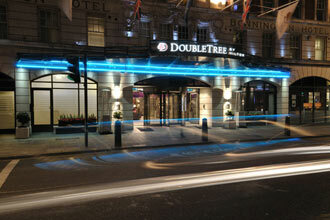 After this exciting and informative experience, you will take a short tube ride to the Doubletree by Hilton Bloomsbury hotel, the perfect location for an afternoon treat. Your afternoon tea will include a selection of freshly made sandwiches, such as smoked salmon dill and lemon, ham and parsley mayonnaise and cucumber and cream cheese. You will also be able to indulge in delicious warm scones served with clotted cream and strawberry jam as well as an assortment of French pastries. 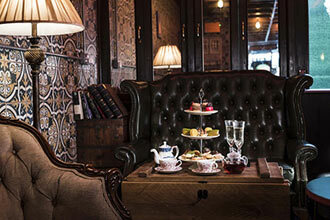 You’ll also have a selection of traditional tea or coffee as well as a glass of champagne each. This experience is available Monday to Sunday throughout the year, subject to opening times and availability. This experience can last anything from two hours to a full day. This experience is a perfect way to watch and sample the delicious sweet treats prepared by the chef with a loved one. What better way to enjoy an afternoon tea whilst picking up tips and techniques to create your very own delicious delicacies. During your afternoon tea the chef will demonstrate how to make some lovely sweet canapés and desserts whilst you sit and enjoy your afternoon treat. On your traditional three tiered stand will be a selection of finger sandwiches full of scrumptious fillings, such as lime cured cucumber, home-baked ham and home-smoked trout pâté on a crispy crostini, and the Smart School's very own focaccia. You will also have a selection of freshly made cakes or pastries on the day accompanied by a glass of Prosecco each. This experience typically runs on two midweek dates a month in the afternoon, throughout the year. If you have any dietary requirements please notify the venue on the booking form. Caffé Concerto is an Italian restaurant with branches in Central London, Birmingham and the Middle East. With a dedication to fine food, an excellence service and a love of the fine art of patisserie and coffee, Caffe Concerto is proud to serve its customers whilst they’re surrounded by beautiful decor and live music at selected venues. As you would expect from an afternoon tea, this experience starts with a warm welcome from the Caffé Concerto staff. You and your guest will be provided with a traditional afternoon tea comprised of scones with clotted cream, finger sandwiches, mini tartlets and a selection of tea. You will also receive a bottle of Prosecco to share, sit back and prepare to be impressed as the food is served. This experience is available Monday to Sunday, subject to availability, excluding July, August and December. This experience will typically last 1-2 hours. MAP Maison is a home away from home. Map Maison offers something different, a café during the day and a bar from early evening until late night. Taking inspiration from all over the world and bringing together an electric mix of small plates and cocktails. Your afternoon tea may vary slightly as their menu changes every 8 weeks, but your luxury afternoon tea may include sandwiches with fillings such as luxury dry aged beef, burrata and avocado melba and herb smoked salmon. You could be treated to a pleasing array of sweet treats such as lemon tart, pineapple and mango chou, raspberry delice, blackberry chou, chocolate tart, macaroons and madeleines. And most importantly this will be accompanied with a glass of fizz or a cocktail. Please note that MAP Maison are currently unable to offer gluten, dairy, nut free or vegan afternoon teas. 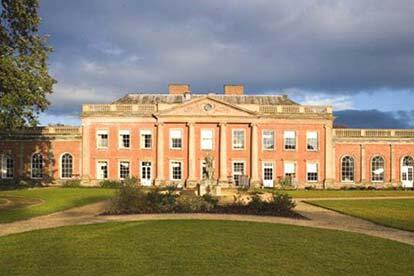 This experience is available on Saturdays and Sundays, subject to opening times and availability. Please inform them of any dietary requirements you may have. The Park Lane Hotel is situated in the heart of Mayfair just a short walk away from Buckingham Palace and facing Green Park, the ideal location to take a break from a day of sightseeing. It has become the gathering place for guests and locals alike and is today one of the greatest places to enjoy afternoon tea in Mayfair. 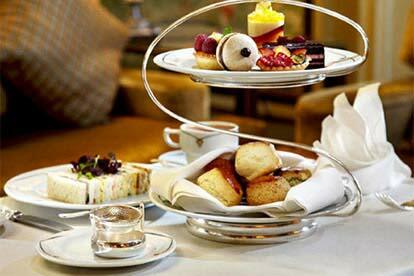 This is your chance to savour the quintessentially British institution that is afternoon tea. 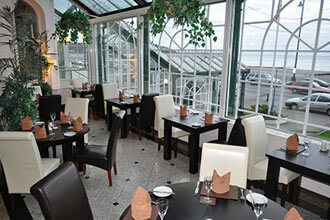 On arrival you will be greeted by staff who will seat you in the beautiful Palm Court Restaurant. You will be served a selection of finger sandwiches, delicious scones with clotted cream and seasonal preserves, a selection of fine French pastries and choice of exquisite teas from around the globe. The friendly staff will cater to your every need, ensuring that this is an experience to remember and one that you will want to repeat. Centrally located in London’s buzzy Soho is the Five-star Sanctum Soho Hotel, an urban hideaway in the heart of the city. Recently awarded ‘Boutique Hotel Of The Year’ at the prestigious World Travel Awards, each of The Sanctum Soho’s suites are furnished with the highest calibre furnishings, chic décor and a taste of bohemian opulence. From the moment you walk into the hotel lobby, you are greeted with its stunning rich earthy tones and custom artwork of rock ‘n’ roll legends such as Jimi Hendrix. The hotel’s Bar and Restaurant Wild Heart is located on the ground floor with locally sourced produce prepared by the award-winning chef, James Cathcart. Dine in one of the restaurant’s booths or lounge with a cocktail in the cosy bar area. For over a decade, the hotel has remained a mecca for A-list celebrities and some of the biggest names in the music industry. 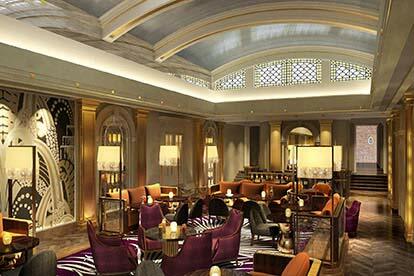 It is renowned as one of most captivating places to stay in London. 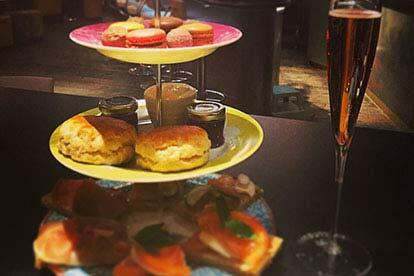 You and your guest will enjoy a stylish afternoon tea with a bottle of Prosecco to share, at the Wild Heart restaurant located within the Five Star Sanctum Soho Hotel. You will both receive a selection of scrumptious finger sandwiches, scones with jam and clotted cream, a trio of fruit tarts, strawberries and cream pot along with a selection of teas. To accompany your delicious afternoon tea, the restaurant will also provide you with a crisp, refreshing bottle of bubbly! You and your guest will have the choice to dine indoors or out on the patio whilst you enjoy your traditional afternoon tea. This carefully hand-picked menu will include all your traditional afternoon tea elements of dainty finger sandwiches, indulgent cakes and fluffy scones all accompanied by a bottle of bubbly. The friendly staff at Urban Meadow will welcome you and your guest into the café or if it’s a sunny day, you are welcome to dine al fresco on their lovely patio area. You can watch the hustle and bustle of London pass you by whilst indulging in a delicious array of savoury and sweet treats. Not to mention, a bottle of bubbly too! You can choose from a variation of Sri Lankan, South African and Buddhist inspired teas. These will include a choice of 11 different blends, including your classic Earl grey, refreshing peppermint or an aromatic Jasmine flower tea. The dainty sandwiches will include your classic afternoon tea favourites; smoked salmon, chicken with pesto, cucumber with cream cheese and of course egg mayo with cress. Cake and pastries will also be on the menu to satisfy your sweet tooth and of course no afternoon tea would be complete without fluffy scones with lashings of Devonshire clotted cream and strawberry jam. As well as your selection of delicious teas to choose from, you and your guest will also enjoy a bottle of bubbly to make your afternoon that extra bit special! There's no summer drink more quintessentially British than Pimm's, and what better way to enjoy it than accompanied by an afternoon tea which you can enjoy with a loved one? 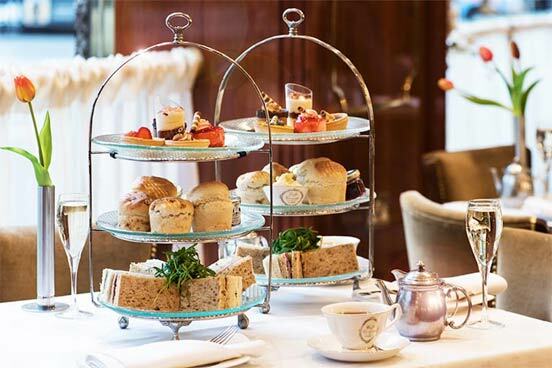 Your Pimm's Afternoon Tea is situated in the Number Twelve Restaurant at Ambassadors Bloomsbury Hotel, which is the perfect setting for this afternoon treat. On arrival you will be greeted by staff who will seat you. Your afternoon tea will consist of a selection of finger sandwiches such as pickled cucumber, sherry vinegar and black pepper, salt beef, English mustard and watercress, egg chive and mayonnaise. You will have freshly baked scones, served warm with Devonshire clotted cream, strawberry and raspberry preserve. Fresh fruit tartlets, afternoon tea cakes, pastries and chocolate dipped strawberries and a choice between a selection of fine teas or freshly ground coffee and of course it will all be accompanied by a glass of Pimm's and strawberries. Enjoy this fine British tradition of afternoon tea relaxing in Number Twelve Restaurant whilst savouring their freshly prepared scones, fruit tartlets, dainty sandwiches, fine tea and a refreshing glass of prosecco. When you arrive you will be welcomed by the staff which will show you to your seats. You will be presented with a choice of teas, carefully cut finger sandwiches such as pickled cucumber sherry, vinegar and black pepper, salt beef, English mustard and watercress, egg chive and mayonnaise and Scottish salmon cream cheese. These will be followed by freshly baked scones served warm with Devonshire clotted cream, strawberry and raspberry preserve, fresh fruit tartlets, afternoon tea cakes and pastries. All to be washed down with your choice of a selection of fine teas or freshly ground coffee and a glass of prosecco. This experience will last approximately 1½ hours however there is no set time. Bea’s of Bloomsbury have preserved the origins of afternoon tea as a relaxing meal shared with friends. Catching up over a cup of tea is a time-honoured British tradition and the addition of an array of delicious sandwiches, pastries and of course scones with clotted cream and jam just make it all the more enjoyable. With three tearooms located in some of the most stylish areas of London, afternoon tea and Bea’s is the perfect way for families, friends or couples to spend some quality time together. Their exquisitely appointed tea rooms are designed to provide stylish surroundings in which to enjoy a relaxing treat with no distractions except for the vast array of cakes on offer. As you would expect from an afternoon tea, this experience starts with a warm welcome from the café staff who will make guests comfortable and provide them with a kir royale cocktail to get the afternoon tea off to an indulgent start. Then, it’s time to sit back and prepare to be impressed as the food is served. The afternoon tea menu has been carefully crafted to provide guests with a spread which combines the traditional with a modern twist. The menu includes a selection of mini brioche topped with avocado and yoghurt, egg mayonnaise and cress, smoked salmon and crème fraiche and more. These are accompanied by scones with clotted cream and jam and a selection of pastries which are all washed down with a choice of teas, infusions and coffees. This traditional afternoon tea experience is ideal for anyone who enjoys the finer things in life and prefers to enjoy them in a convivial atmosphere. Please note there is a 12.5% discretionary service charge.